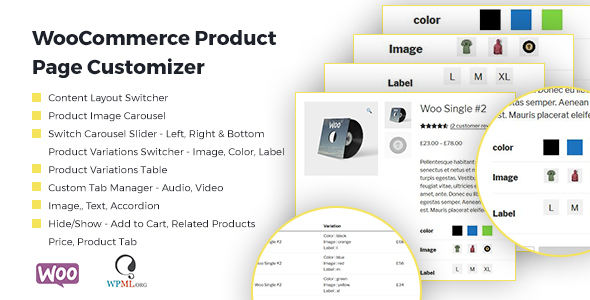 magnifying image features and switch Product Carousel slider Control orientation to left, right or bottom. Image and Label. It check availability of stock related to Color, Image and Label/Size. Video, Text Content and Accordion for FAQ. secured. We’re committed to future update and best support.